JD Golf Tours have been in business for over 25 years and have a long list of happy customers. Why not take a look at what some of them have to say about their experience. As I’m boarding the flight home right now I want to take the time to thank you for arranging the most fantastic trip that I could only have imagined. Your attention to detail, timing of golf rounds, and the selection of accommodations were outstanding. Everything went smoothly and my son and I experienced a trip of a lifetime that we will cherish for many many years. My dream is to, in the not too distance future, call upon you once again to arrange another excursion. I just wanted to send you a message a let you know how much we all appreciated all that you did to make our trip special and it was! You had everything covered from the accommodations, which were outstanding and the driver Tommy Buckley was off the charts and let me assure you that when we make our plans to come back you will be our first call. Thanks again!! We arrived home safely and I wanted to take this opportunity to thank you for organizing our trip so beautifully. The itinerary you devised, the accomodation and golf courses you arranged all exceeded our expectations and for this we are truly grateful. We had an experience in Ireland we will not soon forget. What a marvellous country and people! Expect to hear from my brother and sister in the months to come as they are already contemplating a trip. Let me know if there are any loose ends to tie up or if there is anything I can do by way of recommendation for JD Tours or any of the places we stayed or visited. I’m sure your summer will be very busy and I hope it goes well. Thanks again. u again in the future. We may plan a group Scotland trip in 2019. Hey there, I wanted to thank you for setting up our recent trip over to Ireland. We had a great time, all the courses and accommodations were perfect. We are definitely going to return at some point. I will probably plan a Scotland trip in 2-3 years, would love to have your assistance if you are up for the challenge. We returned from Scotland last night. All trip arrangements were perfect…as usual. Everyone expecting us and van, accommodations, and golf were all great. Kingsmill was probably best hotel but others fine. Van was perfect. As far as golf, Royal Dornoch and Castle Stuart were absolutely fantastic. Nairn was great. Cruden Bay and Royal Aberdeen were fun but very tough for higher handicappers. Caddies were there everywhere and generally outstanding. Thanks to you and JD golf for another great trip. 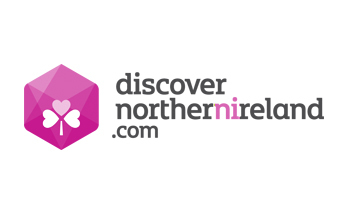 I’m sure we will be soon planning our next trip for 2018 or 2019…if I have any say, Northern Ireland next up! We will be in touch. Well, we are back home after a fabulous trip to Scotland . Can’t thank you enough for all your arrangements. Everything worked out great and I think we has some of the best weather ever in Scotland —- no rain and temps in the 70’s F.
The hotels were both wonderful and with the staff at each being jut terrific. I especially want to mention to you how wonderful our driver from St. Andrews was. Hamish smith was his name and he was delightful. So professional and courteous that I don’t think the trip would have been the same without him. Our trip went very well. Everyone enjoyed the courses, accommodations and the weather. Brendan the driver was also very nice. Just wanted to thank you for all your work in getting our trip out together. Your country is beautiful and I especially liked ballybunion! What an outstanding place! Thanks again!! Thank you so very much for the wonderful trip you put together for us. I know you worked very hard for me – especially with all of the changes. Everything worked out perfectly. The hotels and B&Bs were splendid. Thank you again, and I will definitely utilize you again in the future. I just wanted to drop you a note and say thanks for everything. The trip was awesome. Every detail. The golf and the country obviously speak for themselves. In addition to that Ger was an awesome guy and the hotel was top notch. So as all smitten Americans probably react after doing this for the first time, we can’t wait to get back. But we would probably look at doing it in May as opposed to September. Elaine and I just wanted to send a quick note to thank you for your help with our recent holiday. The arrangements you made were absolutely perfect (I don’t think we’d stay anywhere but Glenderran next time in St. Andrews!) – and we even managed to golf together as “walk ons” on the Old Course. I’m sure we’ll be in touch for our next adventure across the pond! Just got back home last night. What a great trip!! The courses were unbelievable. We usually have one or two that we think were on the “low end”, but not this time. They were all amazing. Also wanted to let you while all of the hotels were good, The Chester was great just wanted you to know how nice we thought it was and how great the staff were there. On the way back we already started planning our next trip to Scotland. I think this time we’re going to want to go to the Southwest part of Scotland and do Troon, Turnberry, Prestwick (so we can finish all of The Open courses). Will let you know what we come up with and we can start planning from there. Riceal, Thanks for your help in making our trip a success. We had a trip to remember. I want to give a special thanks for helping to get Philip O’Neill our driver. He was the “Best”. For any customers combining golf and sightseeing you should definitely request his services. If you could give me a call Monday or Tuesday I would like to discuss a potential golf trip to Spain and Portugal in 2017. Hope you are well. We had a wonderful experience overall. Thanks very much for all your guidance. It was so nice meeting you at Dromoland. I’ve been wanting to contact you to tell you what a great job you did in setting up everything. The group were extremely happy which made me very happy. Our driver, Brendan, was fabulous! He really went out of his way to make our trip special. The night you arranged for Brad’s birthday dinner at the Killarney Park hotel was also extremely special. Everything went off without a hitch; golf tee times, caddies, reserved buggies, accommodations, nothing could have been better. We definitely want to do another golf group and we are leaning toward Spain or Portugal. Thanks again for everything. Let’s keep in touch. Riceal, hope you are doing well ! Just a short note to let you know that Cherry and I enjoyed our visit to your beautiful country very much ! Thanks for setting up a great itinerary – we enjoyed all 3 beautiful hotels and all 5 golf locations ! You also did a wonderful job with the weather – we only had rain and wind at one of the 5 golf courses ! Kerry Coaches and especially our driver, Tommy Buckley, worked out really well. We enjoyed meeting and visiting with you at the airport upon our arrival – thanks for taking the time to come and see us ! Thanks again for making our first trip to Ireland a very memorable one ! If you ever come to the US – come and see us in Austin !! My clients said they had a wonderful time on their Scotland trip! Said all of the golfing and their accommodations were wonderful/went smoothly. Overall they enjoyed their trip! Thank you SO MUCH for helping assist me in planning this for them! I will definitely keep you in mind for future clients/assistance, as well as forward your contact information onto my co-workers. Thanks again!! We rank the courses in order of 1) Challenge 2) Condition & design 3) Staff & accomodation. Note: I am “over challenged” on most of these! For this trip: 1) Tie (!) : Trump, Royal Dornoch, Castle Stuart Note: Hard to differentiate. These are all great courses, fun to play, challenging etc. Of course Dornoch’s history is special. Thanks for arranging our vacation package. Your last minute changes for “Buggies” was a big help. The staff at each place were friendly and tried hard to accommodate our group. The caddies were fine where needed. I just wanted to drop you a quick note and thank you for doing a great job organizing the trip. It went flawlessly and everyone had a great time. This was my best trip to Ireland yet, especially not having to drive so I could see the sights. Our hotels, golfing & driver were fantastic. I highly recommend our driver, Tommy Buckley. His spirit and local knowledge was invaluable. We saw things that we never would have been able to see without his help. I cannot begin to explain how well everything went on last week’s trip. The golf, the hotels, the weather and certainly Dan Joe, all perfect. We are back home from our trip. Everything worked out wonderfully. The schedule was perfect. The accommodations were fabulous. The golf was fantastic. And Ireland is stunningly beautiful. Everything was seamless and exactly as we expected it. You and JD Golf did a really fabulous job of taking Tammy’s ideas and input and pulling together a spectacular golf vacation. Overall the guys and I had a grand time. The Craignamara is very nice. The courses were all good. Of course the weather cooperated for us. Just a quick email to let you know that everyone RAVED about the trip. I raved about our trip to Spain to James so hopefully he might consider that for a group trip in 2017. Drogheda was a great success, thank you! I’ll be back to you for the exact same package next year. Same weekend (in btw the All Ireland’s), same numbers for beds, golf and dinner. Just in a new location. Ideally within 90 mins of Dublin. Thanks a mill, you nailed it. Jay, Paul, Howard and Kurt. We reluctantly left Waterville the other day for the long journey home. We had all considered this our last trip to Ireland because we are getting to the point where it is hard to walk so much, but we so enjoyed the trip that we may come back in a year or two. You were very sweet to meet us at the airport and it is nice now knowing who I am communicating with. The trip was fabulous. We even enjoyed the 40 mph and rain at Ballybunion and Waterville. The lodging was exactly what we had hoped for and the golf was spectacular. But most importantly, we so enjoyed you and the rest of the Irish people we encountered. You are so open and friendly. Thanks for all you did to make our pilgrimage to Ireland all that we had hoped it would be. A great time had by all. Back in the States and missing Ireland. Lovely country you have. Thanks so much for putting together this most enjoyable trip. Everything went smoothly and your selected accommodations were inviting and comfortable after a long day of golf. We look forward to the day we return. Waterville was well worth the extra effort and may be my favorite of all. It was the trip of a lifetime! Thanks so much for getting us on ALL of our priority courses, arranging great accommodations, and setting up the trip logistically to maximize ease and enjoyment! And as you can see in the pics, we also lucked out on the weather!! You did an awesome job as usual Kyra!! Kyra – Just a quick note to thank you for putting together a great trip for us. We had a great time and it was nice to be able to meet you and your husband. Given the crazy strong winds combined with the “Irish Mist” pelting us in the face we only played nine holes at Lahinch. As I think that was the same day you were in a tournament, I am hoping you were able to weather the elements more successfully than we did. We did finally have a great day to wrap up the Ireland portion of the trip at Ballybunion the next day. A great course. Anyway, the whole trip went without a glitch and we had a trip of a lifetime. Thank you so much! Sadly the trip has come to an end and we depart for Kansas City in a few hours. Everything went according to plan. The courses were great, the accommodations were excellent, Dennis was the perfect driver for this group, and we all came to appreciate Ireland in new ways. Thanks for all your help and work in making this happen. Were you also responsible for the perfect weather ? I think that over the 10 days we had 12 minutes or less of rain. Hope all is well with you and thanks again. I have spoken to several of my members who were on the Willhoite trip that you helped arrange. They could not have been more complimentary of your services. They were very pleased with the accommodations and planning. They also loved having Dennis as a driver. I would expect them to recommend JD to their friends. Our Trip was a great success. You and your team did a super job, and you can be sure that I will be recommending you to anyone who wants to play golf in your beautiful isle. Thank you Kyra for your expertise in Planning our trip to Ireland with Bob Phillips. It was perfect! Also, Pat was an exceptional driver/tour director. He answered all our questions and was so Knowledgeable about the various areas we visited. We highly recommend him for future excursions. It was a memorable two weeks. I wanted to send you a note thanking you for helping Bob Phillips plan a great trip to Ireland. the itinerary was perfect with a lot of variety, great golf and beautiful places to see. Our coach driver Pat, was awesome. He made the trip very enjoyable and informative. I would highly recommend him to anyone in need of a great tour guide. The Irish people are fantastic. Normally after a few days on a trip I am ready to come home. That was not the case this time. This was a wonderful experience. Thank you for arranging a fabulous trip. We had excellent weather, great golf and adventurous nightlife. It was by far our best trip to date. I wanted to thank you for putting together a wonderful trip for all of us. It was a pleasure to meet you at Adare Manor. We will gladly refer you to all who ask. As we sit in the airport prior to departure, Ronda and I would just like to thank you for your expertise and effort in helping create this great trip. We had a magical time in Ireland. It was a pleasure to meet your Husband Brian yesterday and he could not have been more gracious. we loved the Irish speaking people of Dingle and our adventures in Connemara. We were able to play a second round of 18 holes at Lahinch Monday evening and I believe that was my favourite course but they were all fantastic. We really lucked out with the weather. Again, Thank you for everything and we hope to return soon. You have an unbelievably beautiful country. Well beyond our expectations. We will be good ambassadors for you. The trip was great. Weather was perfect – just 30 minutes of rain at the Cliffs of Moher. The big hits seemed to be the Gap of Dunloe tour and the Literary Pub Crawl. Golf was exceptional and the food was enjoyed by all. Pat was an excellent driver. He was very safety conscious. he was always on time. He made dinner reservations for us and he allowed us to make changes to the itinerary on the fly. He especially handles us well as it came to us wanting to do more then we could physically accomplish. Pat obviously has a lot of experience and is without a question a big asset to Kerry and to you. It has been a pleasure working with you. I hope to do so again in the near future. Our tour ending tonight. All arrangements excellent. everyone expecting us, buggy’s ready everywhere, only place no caddies available Carne. We thought courses great . Rosses Point and Baltray magnificent. Enniscorne and Portmarnock very good and Carne very nice but think we would have enjoyed it more with some knowledge of where to go. Weather fantastic, only 2-3 holes in rain all week. Thanks so much. JD first class people to do business with. 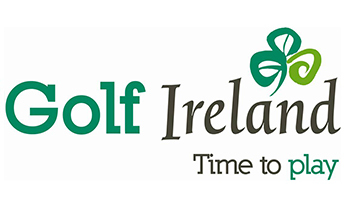 I will send friends wanting Irish golf experience your way. We had a great time in Ireland and wanted to thank you for your help. Perry is still a beautiful place and we liked the accommodation and the setting. The Park Hotel has been upgraded since I last stayed there in 2002 and it was very well done. The service is the best. Our driver Mossie was very professional and courteous. he made the trip interesting with his knowledge of the country and his ability to find small country roads to show us around. We attended a hore race in Killarney one night and only lost 5 euro so we consider that a win. Our Scotland trip has ended and it was wonderful. 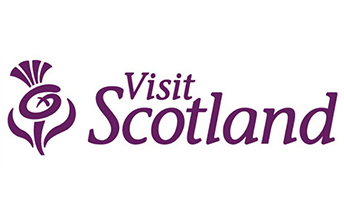 Some of my colleagues questioned my using an Irish travel specialist to book a Scotland trip. They ended up singing your praises. The golf turned out be just as you had organized it, including the caddies. The hotels you selected were exactly what we wanted. And, the Old Course ballot came through. A tour of the R&A clubhouse through a friend of mine turned out to be a memorable trip. Thank you for your hard and very effective work. Your efforts made the trip a wonderful experience. Dont know where to begin thanking you and your firm for the greatest vacation we ever had! Everything went like clockwork, all expectations were far exceeded and a good time was had by all. Hotels accommodations and restaurants suggestions were great and golf arrangements were as planned and spectacular. We agreed that we wouldnt have changed a thing. As you know, the weather really cooperated, as we never needed our rain gear. Old Head was by far the neatest experience of all. What a way to end a trip. Should we have an opportunity to recommend your firm to others golfers you will come highly recommended. If we can be of any assistance to you in the States, let us know. Again thanks for making our trip to Ireland a great vacation. Hope to see you again in the future. I have played golf in Ireland, Northern Ireland and Scotland 23 times over the past 29 years and am happy to report that JD Golf of Shannon provided our group of 12 golfers with the best value ever. We played five of the top 100 courses in the world, plus two other good links, over seven days and enjoyed very good accommodations and private transportation on a fully equipped luxury coach with experienced driver/guide at a very competitive rate. Kyra Donworth of JD Golf was very pleasant to work with and handled every detail in a most professional way. I highly recommend JD Golf for planning and arranging your next golf trip to the Emerald Isle. 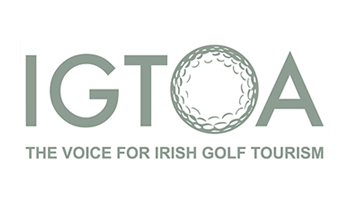 We are writing to thank you personally and JD Golf Tours for all the help and support you gave both ourselves in organizing and planning the recent Riffa Golf Club Members Trip to Ireland. It was the first time that we have organised a trip for our members to Ireland and your guidance, recommendations and knowledge was invaluable in ensuring that we selected a trip that would do golf in Ireland justice, giving our members a holiday they would never forget. Everyone was really impressed by both the accommodations and golf courses with Portmarnock and The K Club standing out for the group. Colins trip was capped off at the K Club where he had a Hole in One on the 14th. Everyone on the trip said our driver Jack was fantastic, so full of humour and his knowledge of the roads was first class. He has also been praised for his excellent assistance in making sure that the ladies were taken wherever they wished. On a more personal note, we would like to thank you for helping us to make this trip a success. We still cant believe that we managed to pull it off between us. Good team work. We look forward to building on this working relationship, by working with you again in the near future. Now that were back and settled, I want to thank you for such a wonderful golf trip and especially the wonderful weather you provided. Everything went exactly according to plan. All the arrangements were perfect, we had no problems and we were warmly welcomed at each location. I would like you to especially thank our driver Martin for all he did for us. He went out of his way to make sure our visit was especially nice and he catered to our every wish. This was my fifth golf trip to Ireland and my first time using JD Golf Tours, Ive recommended you to several of my friends who are considering a golf trip to Ireland next year. Kyra, many thanks for all you did to make out trip so enjoyable. This is my 15th trip from the US to play in Scotland and Ireland and without a doubt the boys and I rated it our best. Great course selection, transportation and accommodation. The only thing that could have made it better would have been a bit more of it. We enjoyed sun, clouds, wind rain vistas and great people. What a wonderful way to see the Southwest. We will now turn our focus to next year and I will engage with you for the same time next year. We are home now back at work and looking at photos and thinking back to all the great memories we had on our golf trip to Scotland and Ireland. This was a trip Dan had been planning and working with you for over a year and was really a dream trip for us so much fun! Thanks to you for all your amazing connections the accommodations everywhere were wonderful we were upgraded in most places and had the most incredible rooms / suites in many places we are sure this was thanks to you so THANKS! We were treated wonderfully everywhere we went the golf was great weather warmer than expected and all in all a trip we will remember for a lifetime! Thanks for all your help with every aspect of the time! It was really wonderful to meet you! In summary, the entire England trip was a smashing success.. from the several days at the Hilton London Heathrow and London sightseeing to the memorable stay at the Royal Lytham & St Annes Dormy House and gracious Members for a Day attitude we experienced there. All of our guys had a most enjoyable time. All of the accommodations where prefect and there was not a bad course on the trip. Thank you for providing such a great itinerary. Were back in America now and we have reached unanimous agreement that the trip that you and your team organized for us was exceptional. All the golf and hotel arrangements you made for us worked out perfectly and met or exceeded our expectations. We also enjoyed the restaurants, pubs and sightseeing adventures that you recommended. The pace of our trip allowed for a perfect balance between golfing, sightseeing and enjoying the people we met in the many pubs we visited in Kinsale, Killarney Lahinch and Dublin. Our consensus is that Old Head is the most beautiful golf course we have ever played. Ballybunion and Lahinch demonstrated for us the high standard of golf required for the experts to play this game at a world class level. The Killarney Wine Room at the Malton House should be on everyones buckets list, and a pint glass of Murphys or Smithwicks fits the hand very well before or after a round of golf! What a great trip you structured for us! Please thank you and your team for helping us select and organise this expedition. We will remember our Irish golfing adventure as a lifetime highlight and we will certainly recommend your very professional series to our friends. 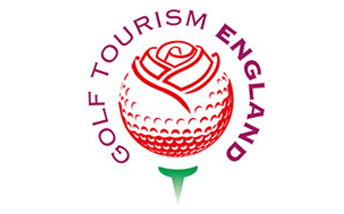 Thank you for your efforts arranging my latest golf holidays in Wales and England. It was an outstanding trip in all regards, including 10 rounds without even a single drop of rain. I particularly enjoyed golfing at Royal Liverpool, Royal Birkdale, Royal Porthcawl and Pennard. The three hotels were all first rate. Im already thinking about my next visit, this time likely to Ireland and will be in touch when I select a timeframe and the courses of interest. Well we are all back at regular duties after such a wonderful trip. Your arrangements were flawless and much appreciated by all. The kids were most impressed with the countryside, the accommodations and the food. It was a once in a lifetime trip having everyone together and many thanks for your help. I think it exceeded everyones expectations. Trying to figure out what year we first used JD Golf Tours? We must be one of a small group that have been regulars for over 20 years. I will be back to you before long about a golf trip next year probably in May or September. Just a quick note of thanks for all you did to make our golf trip to Irelands west coast so wonderful. The variety of courses and accommodations as well as the range of entertainment, dining and shopping experiences was just perfect. It was a fantastic week and we will have stories to tell for a lifetime! Our friends and families will soon see the best of some 300 photos (which we promise to edit down to maybe 100) so Im sure you will hear from some of them soon. Thank you again. I dont know where to start and not sure I can adequately write a proper thank you to express my gratitude for your service last week. I know I have complete agreement amongst the entire group when I say that YOU created our wonderful Ireland experience. Sure the golf courses were great and the camaraderie with friends was great but we would not have had a trip of a lifetime without you. Your service and attentiveness in handling us was perfect. My club members were very impressed (so as I). I am glad Kyra assigned you to our group. Thank you for putting up with us and MANY extra things you did to create our fun (getting us to courses quickly and safely, ordering lunches, stocking the coach, luggage handling running errands to banks and golf shops just to name a few. I think we had to unanimous votes on the trip RCD is the best and Con is the best Until next time my friend. We enjoyed our fantastic trip to Ireland. The golf courses and B&B were outstanding. A number of golfers have expressed an interested in a similar trip to Ireland so I am sharing our itinerary with them. I would like to explore a similar trip to England and Scotland will be in touch again soon. Thank you. Kyra, I wanted to send you a note to thank you and your staff for a great golfing experience last week. All of the guys thoroughly enjoyed your country and all it had to offer. Everything about our trip was done first class. The golf courses had views that were most spectacular. I will definitely recommend JD Golf Tours to any fellow PGA Professional who is interested in travelling to Ireland or Scotland. Thank you again for a great life experience and best of luck to you. Just wanted to say thank you for arranging our trip. Everything went so smoothly due to your arrangements. I even witnessed an engagement at the Cliffs of Moher and took the young excited couples photo. Made my day! We have been raving about Doonbeg to everyone here. We could have happily stayed there longer. Thank you for meeting us and showing us around. We loved our location in Dublin and even went on the touristy Literary Pub Crawl. Until next time. I wanted to let you know we got back to Hawaii safely! Thanks again for all you and Gerald did to make our trip so wonderful. My only complaint is that you should have warned us to leave our umbrellas and rain suits at home as the weather was spectacular throughout. Everyone also thought that Doonbeg was the best of all the places we stayed so thanks very much for recommending that. Thanks again very very much and I hope that the rest of your season goes well. Sorry that we missed Brian this time around but perhaps our paths will cross one day here in Hawaii! That would be great and Ill look forward to seeing you again soon if not here then Im just going to have to plan our next trip to your fair isle. Not much to say other thank we all had an absolutely terrific time yet again. As you know the weather was a bit chilly but overall the weather cooperated. 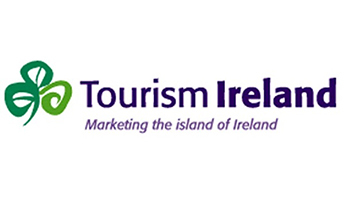 Our group is still raving about Ireland, its people, food, golf courses, towns and countryside. Please thank your husband for me as he gave us an accurate weather predication on our day at Lahinch. Tom our driver became part of our family by weeks end. He added so much to our trip with his anecdotes, knowledge and enthusiasm. We would be everyones choice should we take future trips. Thanks for arranging a GREAT trip for our group. Four people in our group were newbries to Ireland and are thinking about a return trip soon. In any event, Jim and I would like to thank you and your staff for all you did to make it a great experience for all. Should we decide to return to Ireland in the future rest assured, well give you a call. Take Care. If you decide to leave the planning to someone else JD Golf Tours are among the most trusted names in European golf travel. Based in Shannon, Ireland this outfit is popular and efficient. Our impeccable reputation now precedes us, the majority of our clients coming from personal recommendations and repeat business. Please fill out our request form. We will prepare a customised proposal and reply back to you. Once you are satisfied, we will confirm availability and finalise your itinerary. Tell us what 3 + 2 is?